We are living in a golden age of cartoon art. Never before has graphic storytelling been so prominent or garnered such respect: critics and readers alike agree that contemporary cartoonists are creating some of the most innovative and exciting work in all the arts. For nearly a decade Hillary L. Chute has been sitting down for extensive interviews with the leading figures in comics, and with Outside the Box she offers fans a chance to share her ringside seat. Chute’s in-depth discussions with twelve of the most prominent and accomplished artists and writers in comics today reveal a creative community that is richly interconnected yet fiercely independent, its members sharing many interests and approaches while working with wildly different styles and themes. Chute’s subjects run the gamut of contemporary comics practice, from underground pioneers like Art Spiegelman and Lynda Barry, to the analytic work of Scott McCloud, the journalism of Joe Sacco, and the extended narratives of Alison Bechdel, Charles Burns, and more. They reflect on their experience and innovations, the influence of peers and mentors, the reception of their art and the growth of critical attention, and the crucial place of print amid the encroachment of the digital age. 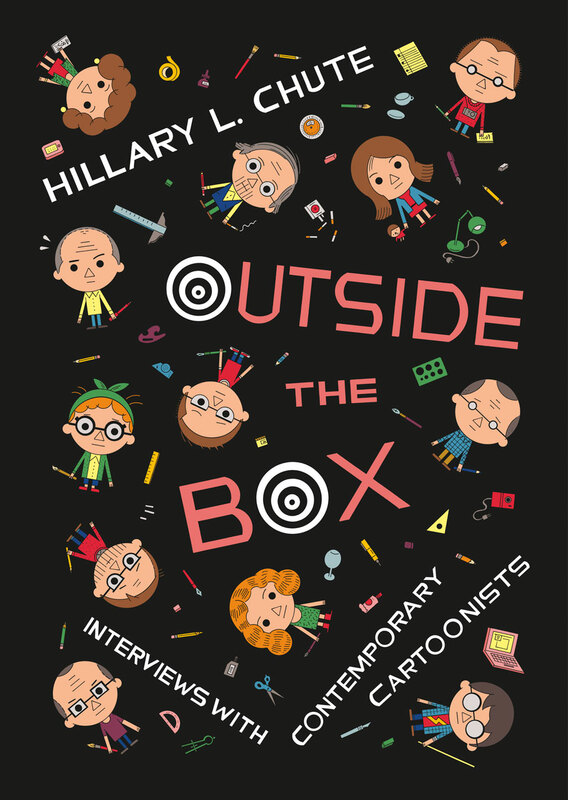 Beautifully illustrated in full-color, and featuring three never-before-published interviews—including the first published conversation between Art Spiegelman and Chris Ware—Outside the Box will be a landmark volume, a close-up account of the rise of graphic storytelling and a testament to its vibrant creativity. "This is a book of great interviews with great cartoonists. The interviews are great because Hillary Chute is great. She knows how cartooning works and she intimately knows the work of the artists she’s interviewing. The interviews are smart, insightful, and very readable. This isn’t dry stuff nor is it fluffy. It’s the real stuff. Anyone interested in the minds of today’s cartooning masters will want to read it." “Chute wisely lets each artist take the lead. . . . It’s a fascinating glimpse into a medium swiftly gaining recognition." "A handy guide to the creators behind the graphic novel revolution." "How refreshing it is to listen to these cartoonists talk about a branch of the culture here in America that isn’t plagued by feelings of decay, repetition, malaise, or despair. . . . These interviews are as good a reminder as any that, at least for the world of alternative comics, the blood is flowing and the people believe." "This collection of interviews is remarkable, not least of all because so many of the contributors have been interviewed extensively. Yet, all of these are fresh and insightful examinations of some of the most diverse creators in comics." "Full of fascinating, weighty insights into the artistic and working concerns of some excellent cartoonists."